6.3. Four members of the Committee shall constitute a quorum in respect of Committee meetings. 7.2. The retiring members of the Committee shall be eligible for re-election. 7.3. Committee members shall not be entitled to be paid for their services to the Club. However, they shall not be required to pay the annual membership fee and shall be treated in all respects as paid up members. 13.2. 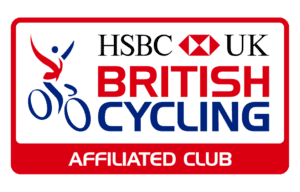 Members shall follow any guidelines or rules that are either published or advertised by organisers of rides, sportives, activities or other events. This includes those organised by fellow club members and non-club members and organisations to which the club is affiliated. 14.1. Subscription fees and conditions for the categories of membership will be reviewed annually by the Committee. 14.3. The Committee shall be entitled to award honorary memberships. A list of honorary members shall be maintained on the Club’s website. Honorary members shall be entitled to vote in Club meetings. 14.7. Membership fees will be non-refundable except where membership has been terminated by the Committee pursuant to Article 13.5 above in which case the fees shall be apportioned pro rata.